Web Hosting simply refers to making your website live on the internet. A web host refers to an organization which gives memory space for the website files to be stored. These locations are always connected to the internet so the website is running all time. They provide locations which help the clients to publish their website on the internet. They may also provide space and internet connection for servers which are owned by others. The services provided by Web Host companies is called Web Hosting. The servers on which a website is hosted remains live 24*7. A person can host its website on local computers but it is not advisable. The simple reason behind this is that the computer will not be on for 24*7 and when it is shut down, the website will not be accessible. Uptime is a simple term which is the percentage of the time a website server is connected to the internet. It is usually 99%. Whereas, downtime refers to the time the website is down for maintenance. In general, a website is down for 45 minutes in a month for maintenance. Internet Service Providers (ISPs): Most of the people opt this method of hosting as it is cheap and easy. Most of the ISP package includes a small amount of memory space with tools to create and manage websites quickly and easily. The limitation with this type of hosting is that it can be used only for small websites which expect low traffic. It cannot handle a huge amount of traffic and are generally preferred for business websites. Shared Hosting: In this type of hosting, the Web Host company puts several websites into a single physical server. Every website is allocated a physical space and bandwidth limit. Since all the websites in a single server share the common server and database, one website experiencing heavy traffic will affect the performance of other websites on the server. Virtual Private Servers (VPS): In this type, a server is partitioned into a number of small servers. Each website has their own server with the operating system installed. It does not share the memory or processor between the websites and hence one website doesn’t affect the performance of other. Dedicated Server Hosting: Unlike VPS, the whole server is allocated to a single website. This type of hosting is preferred by the business which requires power and security of their websites. Reseller Hosting: A reseller is like a middleman who sells the space of someone else’s server. Grid Hosting: In this type of hosting, the website is spread over multiple servers. The servers can be added or removed from the grid without damaging the system. Domain Hosting: Small businesses prefer this kind of hosting. The domain name can be purchased and it can be forwarded to the actual website location. DNS plays an important role in Web Hosting. Every website on the internet is provided with an IP address of its own. Instead of remembering the IP address to all the websites, it is easier to remember their names. DNS helps in the mapping of these names to the correct IP address which displays the web pages we want to see. Whenever a URL is entered in the address bar, the DNS finds the corresponding IP address in its servers and retrieves the web page through it. Which Hosting To Choose – Windows Or Linux? Linux: Linux Hosting can be used for websites written in PHP, Python, Perl and other such languages. They usually support PostgreSQL and MySQL databases. Windows: Windows Hosting can be used for websites which run on Microsoft Technologies like ASP scripts. They support Microsoft SQL database. Which Web Hosting Company To Choose? 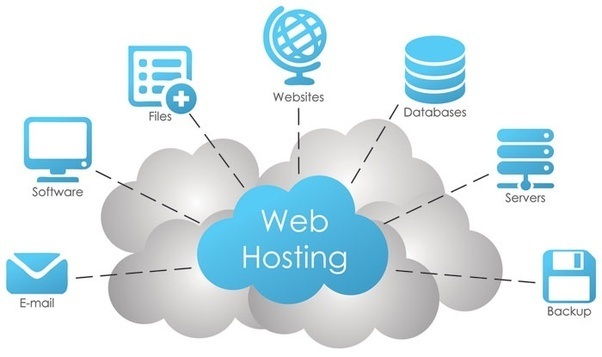 There are several different companies which offer Web Hosting services but here are few of the best companies which offer reliable services: Go Daddy, Hostgator, Hostinger, Big Rock and Blue Host.